Born and raised in Brooklyn, he married and had 10 children and moved his family to and settled in Middle Village. 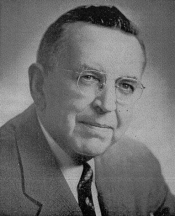 Started the James A. Phillips Agency, his own insurance brokerage and real estate brokerage in 1930 on Dry Harbor Rd. Middle Village. Sought to further serve his community through politics and was elected Democratic District leader in Middle Village, later became City Councilman and Queens County Democratic Leader. Founder of the James A. Phillips Regular Democratic Club, which became the springboard for many prominent Queens' politicians. Had five children serve in WWII and two sons who lost their lives in the war. Dedicated his City Council term to helping veterans and their families. As Queens County Democratic leader fought against the corruption in Tamrnany Hall. Retired from politics in 1959. Responsible for getting Middle Village its firehouse Engine #319. Committed to helping countless people in the community and widely known as an honest politician and businessman beyond reproach. In a 1964 dinner held in his honor, the evening's journal described him this way, "Tonight has been designated 'Jim Phillips ' Night. We need not recount his accomplishments in our District and County, for they are legend. It is impossible to list the names of his friends, from those of high political station, to the working man in the street, who know and love our Jim Phillips, for they are legion." Married with 6 children. The oldest of 10 children, he was a seminarian when WWII broke out. Left seminary to join Army and become one of 5 siblings to serve in WWII. After the war, he attended St. John's Law School and started a law practice in his father's real estate and insurance office on Dry Harbor Rd. Middle Village. During this period was also active in managing the political campaigns of the candidates from the JAMES A. PHILLIPS REGULAR DEMOCRATIC CLUB. After his father's retirement from politics and business, moved from Dry Harbor Rd to Eliot Ave. to expand his law office and real estate and insurance agency. Was elected Middle Village Democratic District leader in 1964. He was the founder and first commander of the Catholic War Veterans St. Margaret's Post. Killed in auto accident at age 51. The oldest son of 6 siblings became a licensed real estate sales person in 1969 and worked in the family business after graduating Christ the King High School and throughout the college years at Marist College. In 1974 started a new venture with partners, creating a 5 office real estate brokerage operation, which included an office on Dry Harbor Rd, directly opposite the location where his grandfather started his business. In 1981 sold his interest in the partnership and owned and managed JAMES A. PHILLIPS REALTY, INC. from the Dry Harbor Rd. location. Began offering mortgage brokerage services in 1984 and became one of the first REGISTERED MORTGAGE BROKERS in NY State under the 1987 state legislation creating the new form of regulating and registering mortgage brokers. In1987 formed a separate entity PHILLIPS MORTGAGE SERVICES, INC. to provide these services to the public. Consistently maintained #1 market share for residential sales in Middle Village and the broader five area market place surrounding Middle Village. 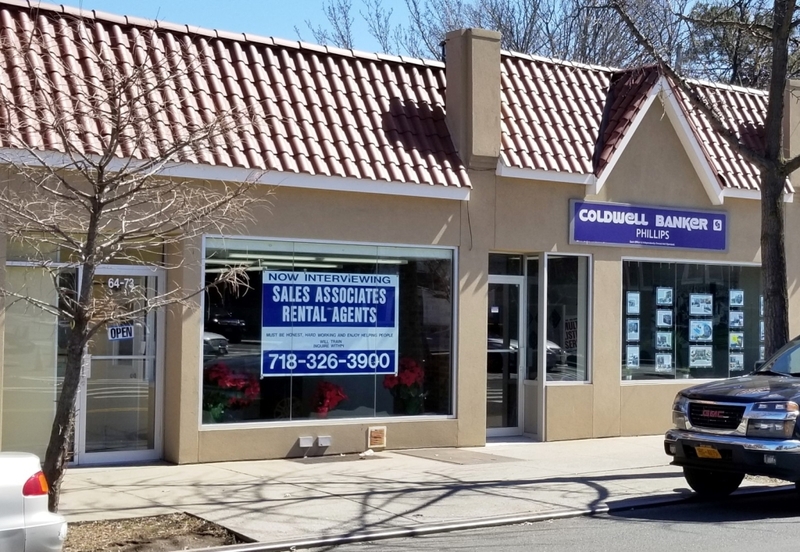 Led the firm to become the #1 Coldwell Banker Franchise in Queens County since 1998 and has won the coveted Coldwell Banker Premier Office Award in 1999, 2000, 2003, 2005, 2006, 2007, 2009, 2010, 2011, 2012, 2013, 2014, 2015, 2016, 2017 and 2018. Was the only office in New York State to win this award in 2007. Founded the Juniper Park Concert Series in 1988 and ran it for 18 consecutive years serving tens of thousands of area residents .